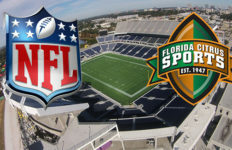 Floridians love their football, but for a long time now NFL football has not loved Florida. For the fifth straight year none of the three – the Miami Dolphins, Tampa Bay Buccaneers or Jacksonville Jaguars – had a winning record. (The Dolphins had two .500 seasons and the Jaguars one during that stretch.) One has to go back a decade to find a year when all three had winning records and to 1999 to find a season in which all three made the playoffs. For the seventh consecutive year, none made the postseason, the longest such drought since professional football came to the Sunshine State in 1966. 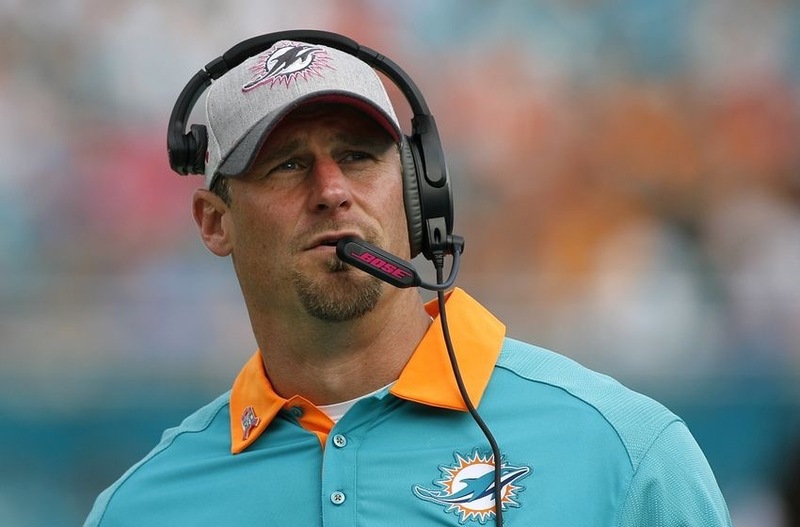 Dolphins Interim Coach Dan Campbell fighting an uphill battle for permanent job. Perhaps most telling is that two of the teams are searching for a new head coach. The Dolphins fired Joe Philbin midseason and interim coach Dan Campbell is considered a long shot to be hired full time. 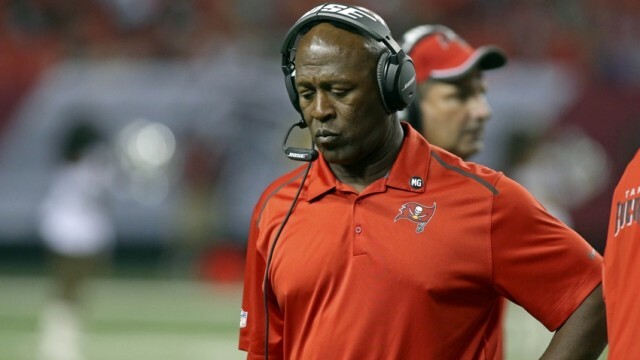 Tampa Bay fired Lovie Smith, by telephone, on Jan. 6. 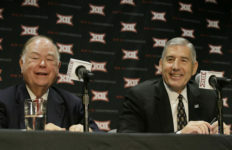 Having multiple head-coaching vacancies in the state is not exactly unprecedented. After the 2011 season, all three were in the market for a new leader. What is a bit unusual, though, is that the teams had shown signs of life in the second half of the season. The Buccaneers and the Jaguars both have promising young quarterbacks, and the Dolphins beat defending Super Bowl Champion New England in their final game, denying the Patriots the top seed in the coming playoffs. Unlike other sports at the college and professional level, the firings aren’t about money, at least not in the typical sense. No NFL team’s financial future is at risk because of a losing season, because it’s almost impossible to lose money in the league. That’s because the NFL has the most lucrative television contract of any sport – the league is in the second of an eight-season television package totaling more than $5 billion annually. It has a revenue-sharing program that divides almost all the money generated (including merchandising rights) fairly evenly among teams. It negotiated a salary cap with the players’ union that gives teams a pretty clear picture of what their financial exposure will be in a given year. As Forbes noted in a September article, the average value of an NFL team is $2 billion. The least valuable team in the league (the Buffalo Bills) is worth a “mere” $1.4 billion. 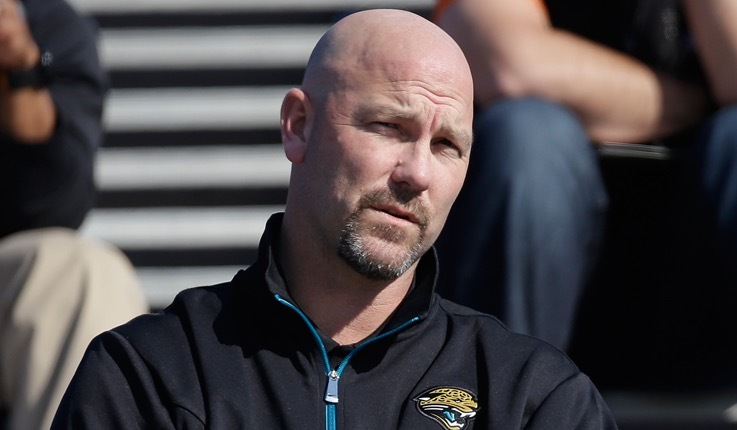 The Jaguars record was the worst, but the promise enough to save Coach Gus Bradley. Ironically, though, it is some of those very factors that are making owners fire coaches more quickly than ever before. It starts with the fact that all of the team owners are highly competitive individuals. (Have you ever met a wealthy person, especially one interested in sports, who wasn’t competitive?) But, it also has to do with the very salary cap that limits their exposure and the fact that the owners granted the players the right to sign with any team after their contract expires in exchange for the cap. Salary caps make it difficult to keep all the good talent a team would like around once it starts winning. Great teams have great players, and great players inevitably expect pay raises. Teams bump up against the cap, and they have to say goodbye to players they would much rather keep. That disrupts the continuity necessary to long-term success. Very few teams are able to sustain long-term success (the Patriots and the Pittsburgh Steelers are exceptions). So, unlike 25 years ago, teams that have young, promising talent can’t afford the patience to let a coach develop his system over a period of time. If a coach isn’t clearly pointing a team toward championship contention, the team’s owner won’t hesitate to find a coach who will. During this weekend’s “Roar Before the 24” practice test for the Jan. 30-31 Rolex 24 at Daytona International Speedway, race fans can get a first-hand look at the new, nearly-finished Daytona Rising redevelopment. The $400 million, 100,000-plus seat reimagined motorsports stadium will be officially complete Jan. 12. The mile-long, 150-foot-high stadium is the first major renovation at the 57-year old speedway since 2004. No more climbing several flights of stairs. 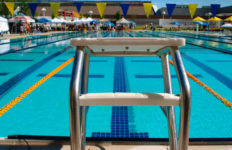 Spectators will find five expanded, redesigned entrances, or “injectors,” to transport them from ground level on a series of escalators and elevators to three different concourses. The facility features wider, more comfortable seats, twice as many restrooms, three times as many concession stands, flat-screen TVs, free Wi-Fi and a special smartphone app to assist fans with information. Perhaps the most impressive aspect of Daytona Rising is its local economic impact. Florida-based businesses comprised 77 percent of the project’s 119 contractors and 80 percent of its 227 vendors. 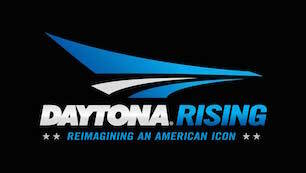 We’ll have much more in a special feature on Daytona Rising next week. 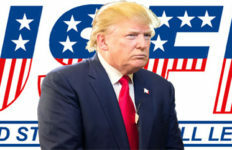 Another pro basketball team in Florida? The likelihood appears to be a slam-dunk, as the Orlando Magic have begun the process of bringing an NBA Development League franchise to Central or Northern Florida. The franchise would be a direct one-to-one affiliate of the Orlando Magic, with the hope of beginning play for the 2017-18 season. The NBA D-League, founded in 2001, is the NBA’s official minor league, consisting of 19 teams with direct affiliations to NBA franchises, and three more teams joining for the 2016-17 season. Each team plays a total of 50 regular-season games plus a postseason, running November to April. On Jan. 7, the franchise sent an RFP to eight locations seeking the best home for the new club. Locations receiving the initial RFP include: Daytona Beach (Ocean Center); Estero (Germain Arena); Fort Myers (Lee Civic County Center); Jacksonville (Veterans Memorial Arena); Kissimmee (Silver Spurs Arena); Lakeland (Lakeland Center); Orlando/ESPN Wide World of Sports (HP Field House); and Orlando/UCF (CFE Arena). “Having our D-League team closer to Orlando would give us the best opportunity to continue to develop our young players, while also extending the Magic brand in our region,” said Magic CEO Alex Martins. Currently, the Orlando Magic and the Erie (Pa.) Bayhawks are in the second year of a three-year single affiliation partnership. While the Magic control the basketball operations, the Bayhawks are responsible for the team’s off-the-court business operations. Another Magic moment to note. During the Houston Rockets game on Dec. 23 at Amway Center, Martins presented Mike Morsberger, University of Central Florida’s vice president for alumni relations with a check for $1.5 million toward a new academic building in the downtown Orlando campus that will serve 7,700 UCF and Valencia College students. Professional tennis will be reaching new heights in Orlando, at least in the classroom. Starting this fall, students at UCF will be able to study professional tennis management, thanks to a new educational partnership between the U.S. Tennis Association and UCF’s Rosen College of Hospitality Management. The specialization will be housed under the Bachelor of Science in Hospitality Management degree program and include instruction at both Rosen College and the USTA National Campus in Orlando, the new home of American tennis.